Hudson Valley, NY - Former congressman Benjamin Gilman, a long time friend to the Jewish community, died today at the age of 94. Gilman, a Republican, served 15 terms in Congress representing the lower Hudson Valley, retiring in 2002 as the oldest sitting member of the House of Representatives when New York lost two congressional seats due to redistricting. The son of Jewish immigrants from Germany, Gilman went with his father to Berlin in 1933 in an attempt to persuade an aunt to come to the United States, reported the Washington Post. Despite his father’s pleas, Gilman’s aunt refused to leave her native Germany and her last communication with her family was in 1937. Gilman took part in 35 bombing missions over Japan as a member of the Army Air Forces during World War II, earning the Distinguished Flying Cross for his efforts. A graduate of the University of Pennsylvania and New York Law School, Gilman worked as an assistant attorney general in New York, going on to establish a private law practice in Middletown. In 1967 he took his career in a different direction, serving first in the New York State Assembly and then winning a congressional seat in 1972, dedicating himself to bettering the lives of his constituents. 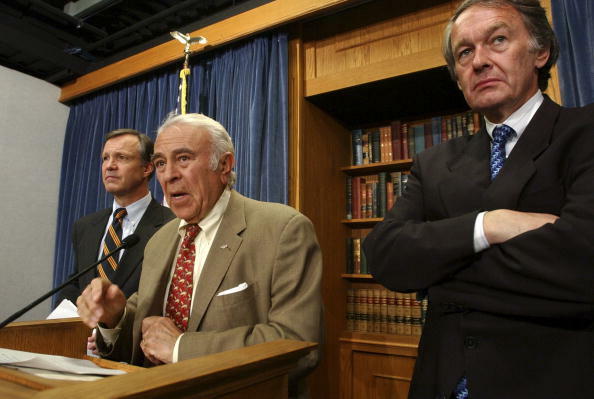 As a member of the House Human Rights Caucus, Gilman was extremely involved in freeing political prisoners, oftentimes working behind the scenes with little fanfare. 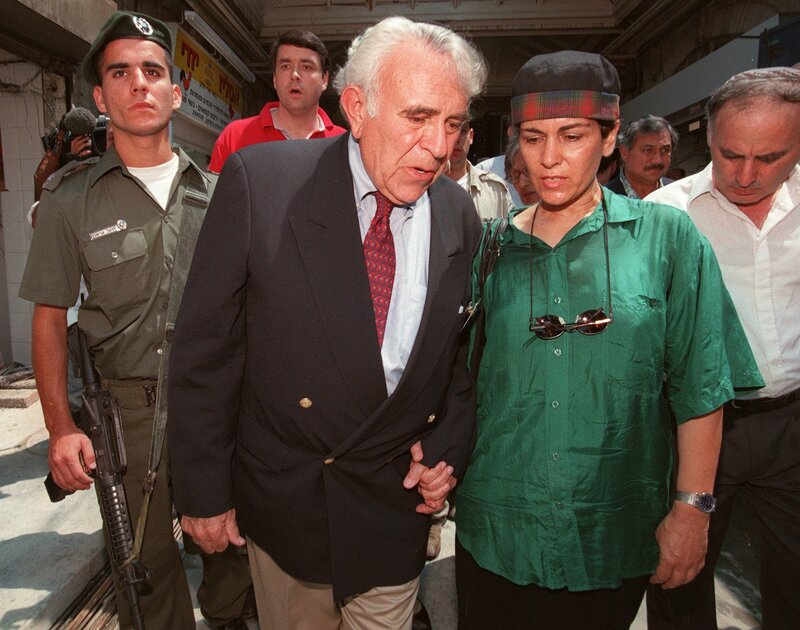 He was heavily involved in an international prisoner exchange that freed Israeli pilot Miron Markus who was jailed in Mozambique after a 1978 plane crash and in freeing refusenik Natan Sharansky from a Soviet prison, teaming up with Rabbi Ronnie Greenwald, who died earlier this year, and Rabbi Edgar Gluck. “He worked hard to get Jewish people out of jail and keep them out of jail,” Rabbi Gluck told VIN News. As chairman of the House Foreign Affairs Committee for six years, the maximum allowable term, Gilman was able to further advocate for Jewish causes. He was one of several members in Congress responsible for the creation of the U.S. Commission for the Preservation of America’s Heritage Abroad which has preserved Jewish cemeteries across Europe and used his influence to help Jewish activists. “He was able to do so many things that people didn’t think could be done,” recalled Rabbi Gluck, who noted that it was due to Gilman’s assistance that he was able to obtain funding to build a superhighway from Kiev to Uman, saving visitors to the holy site more than three hours of traveling under difficult conditions. 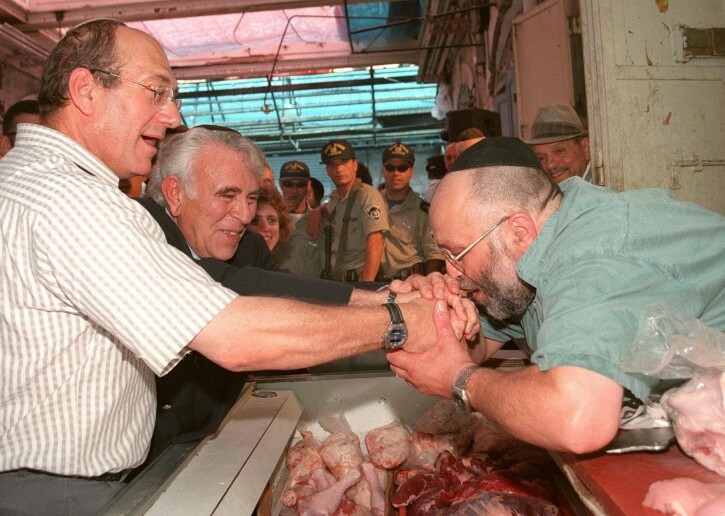 In one incident that took place during the Nixon presidency, the Skulener Rebbe told Rabbi Gluck about 100 Romanian citizens who had been imprisoned for monetary crimes. Rabbi Gluck went to Congressman John Lindsay, who was close to President Nixon, and discussed the situation with him. A year later, the Skulener Rebbe called Rabbi Gluck with an update on the situation. In another instance the Skulener Rebbe called Rabbi Gluck about another 400 people who were being held unjustly in a Romanian prison. The devastating financial impact of losing their MFN status caused Romania to relent, said Rabbi Gluck. Once the prisoners were released, Gilman restored Romania’s MFN status. While Gilman officially represented the Hudson Valley area, including portions of Rockland, Orange, Westchester, Sullivan counties, his influence resonated far and wide. Gilman had extremely close relationships with many Chasidic rebbes. He met with the Satmar Rebbe, Rabbi Joel Teitlebaum, after the formation of the Village of Kiryas Joel, receiving a blessing for longevity. Gilman often spoke with great reverence about the Satmar Rebbe and took pride in his efforts that allowed Kiryas Joel to grow. Gilman, the father of five and the grandfather of eleven, had been in poor health since undergoing hip surgery. He died at Castle Point Veteran’s Hospital in Wappingers Falls, New York. His death represents the end of an era, according to Rabbi Gluck. Gilman is survived by his wife, Georgia, his son Jonathan and his wife Monica, son Harrison and daughter Susan, Nicole Pappas and her husband Nicholas and Peter Tingus and his wife Jody.